A time signal station use radio to transmit time information. By the light speed of electromagnetic wave, radio system transmit the time information to the devices with very low delay. This property allows all the devices to synchronize in a minimum time difference, within the same coverage area of a time signal station. In other words, for those area that cannot reach by wired network, the radio still can deliever a very accurate time information into the places with its low-frequency(40-100kHz) modulated wave. 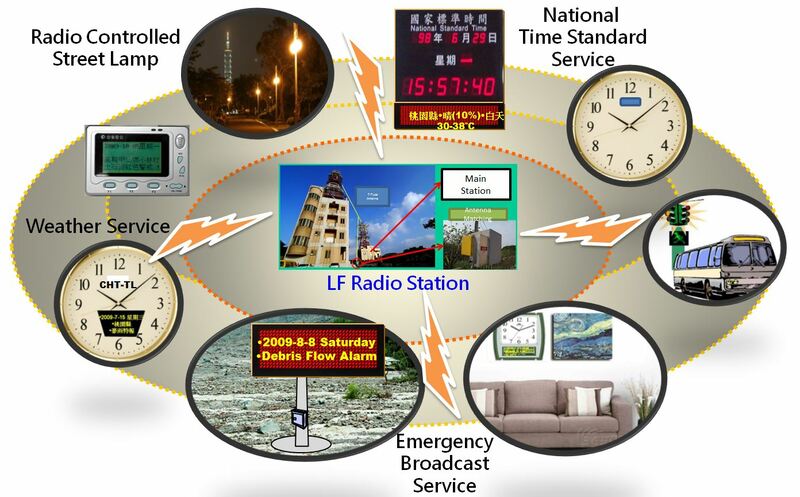 A well-known application is the radio watch, which can receive and decode the time radio, providing the local time information for its owner. A Time signal station is very expensive in its construction. For a site that has 50kW trasmitted power with 46% efficiency (Effective Radiated Power = 23kW), 17 million US dollars is a regular budget for the dealers, which is very significant to the government. In Taiwan, the construction plan is also stopped due to the financial issue. Therefore, this project is launched, we want to design a new implementation of time radio system without any existing high-cost solution. 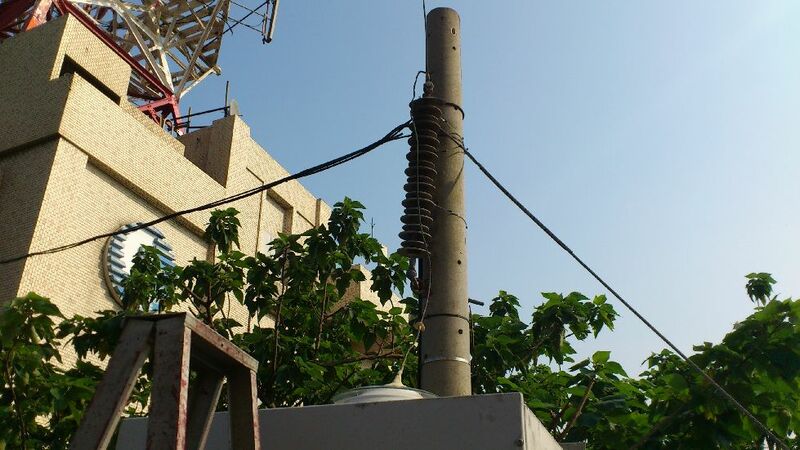 A time signal radio station is mainly composed of three part: A set of antenna system, one high power RF modulator/transmitter, and the baseband digital keyer. As the common sense in electromagnetics, we know that antenna system is inevitable to account for a part of spending. 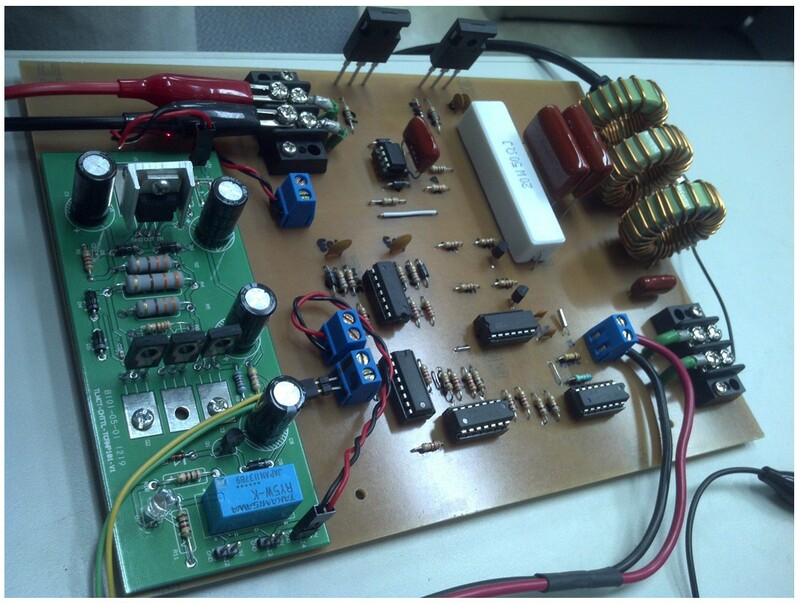 Therefore the real effort we can put on is the RF modulator/transmitter, and the baseband digital keyer. The whole system architecture is depicted in figure 1b. Because the RF modulator/transmitter is still in patent application, we cannot place the circuit design here at the moment. Nevertheless, we are still discussing the possiblity to make the circuit open, as Tesla applies the open source philosophy to their patents. A baseband keyer convert the time and the public information(e.g. weathers) into binary bits, and then transmit these binary bits through amplitude-shift-keying by reducing the amplitude to certain periods, standing for the symbol 00, 01, 11, or 10. These ASK signal are sent to the RF modulator/transmitter, becoming the time signal radio. In this part, the most interesting thing is the popular single-board computer applied in our project. Here, we choose UDOO, which contians one Freescale IMX6 Quad-Core microprocessor and one Atmel SAM3X8E MCU. This great combination makes UDOO can play the role as a good baseband keyer. The IMX6 microprocessor works as the NTP time/public infos retriever and binary coder, communicating with Atmel SAM3X8E by its inner serial interface, and the SAM3X8E MCU is in charge of amplitude-shift keyer to transmit the data. Everything functioned well by simply programming in few days, without using any expensive ASIC(Application-Specific Integrated Circuit). Most of all, an in-lab-testing time signal generator is usually priced at US$8,000, but UDOO cost us only US$180 with shipping.